To say that the legislators who worked on the gambling bill for Michigan to legalize online gambling are angry does not even begin to describe how they are feeling. The legislature worked for months (with the governor’s encouragement) to draft a sheaf of bills that could be passed by both houses and signed by the governor. After months of trial and error, as well as a compromise, both houses in the Michigan legislature passed the legislation, only to have the governor veto it two days before he left office. Some legislative experts feel that the level of compromise shown by the house and senate in Michigan may not happen again. Both the House and Senate had legislative compromises for the gambling bill package. The house and senate worked through not only compromises in their own chambers, but also with their opposite chambers. For example, before the Senate passed the bills, several changes had to be made in order for the legislation to pass. 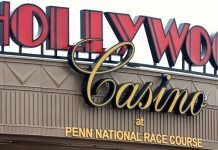 First, to settle the dispute between tribal casinos run by Native American tribes in the state and commercial casinos, a compromise was needed.. They will be treated just as a commercial casino. Tribes who want to offer online casino gambling must be licensed by the Michigan Gaming Control Board as a commercial gaming operator. In addition, tribes also got permission to offer online gambling to people who were playing in Michigan, but not on the reservation. This was a major sticking point for an earlier bill that was not passed. The compromise made by the legislature also allows a launch to happen over a 15-month period, rather than all at once. Not only did the tribal casinos like the longer time to prepare for online gaming, but the state also looked at the success of New Jersey’s online launch before they decided to enact a longer launch in Michigan. With the long period launch, all of the casinos, tribal and commercial, would be able to launch at the same time. 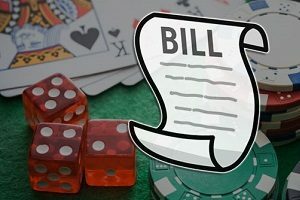 The package of bills had many new features to introduce online gambling. The bill would have legalized online gambling in the state for anyone who is 21 and older in Michigan. The companies already doing business in the state were pleased with the franchise fees as well. They thought they were competitive within the industry. 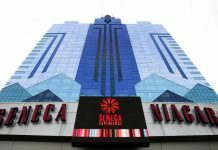 The licenses for online gambling would have cost the casinos $200,000 for the first five years of operation, with a $100,000 renewal fee after the five years. The tax charges were also seen as favorable. Michigan legislators proposed a tax of 8% for all operators, with an additional 1.25% of the tax going to the Detroit casinos. If the state manages to pass sports betting online, the same tax rate will apply. 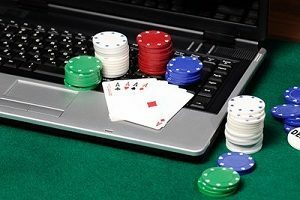 The rates were seen as very favorable for online gambling operations. The two houses were also able to agree on where the tax revenues from online gambling will go. This was a major sticking point for legislators statewide. Of the tax revenues, 55% would have gone to the state of Michigan. Thirty percent of the tax revenue would have gone to the city where the online gaming license is located. Five percent will go to Michigan’s school fund. Another five percent would have gone into a transportation fund to fix the infrastructure. The last five percent would go into Michigan’s agricultural horse industry. One million dollars is automatically going into a gambling prevention fund. Many legislators doubt that a new bill will be as beneficial either to the gambling businesses or to the state. Time will tell if the legislature can get another gambling bill passed, or if the governor will even sign it.